While air travel plays a major role in Canada’s economy, it also contributes to greenhouse gas emissions. On June 1, 2012, the Government of Canada introduced its Action Plan to Reduce Greenhouse Gas Emissions from Aviation, developed with the Canadian aviation industry to increase efficiency and improve environmental performance in the sector. The plan sets out specific measures to improve fuel efficiency and includes commitments from the Government of Canada, the Aerospace Industries Association of Canada (AIAC), the Air Transport Association of Canada (ATAC), the Canadian Airports Council (CAC), the Canadian Business Aviation Association (CBAA), the National Airlines Council of Canada (NACC) and NAV CANADA. However, it does not contain legal obligations of any kind or impose unreasonable expectations on any party, or intend to negatively impact any air carrier’s ability to do business in Canada. The Action Plan aims to improve fuel efficiency by an average of at least two per cent per year until 2020, which will help Canada’s target of reducing greenhouse gas emissions by 17 per cent from 2005 levels by 2020. In terms of how this compares to other countries, there’s been a lot of debate internationally on targets, according to NAV CANADA director of government and public affairs Michelle Bishop. “IATA has set a target of an average of 1.5 per cent improvement per year between 2009 and 2020 and carbon neutral growth beyond 2020,” she said. For the past three years, NAV CANADA has released an annual report called the Collaborative Initiatives for Emission Reductions (CIFER), outlining the progress the aviation industry has made to reduce its footprint. The 2014 report highlights several initiatives that are making a significant impact. Among them is the Gander Oceanic Flight Level Initiative (GO-FLI) where controllers at the Gander Area Control Centre are able to offer more efficient altitudes to pilots, significantly increasing the number of climbs in Atlantic airspace. By enabling a Boeing 767 to climb 2,000 feet for example, it reduces hourly fuel burn by two per cent. And it has a domino effect. When one aircraft climbs, it frees airspace for another aircraft below to climb as well. 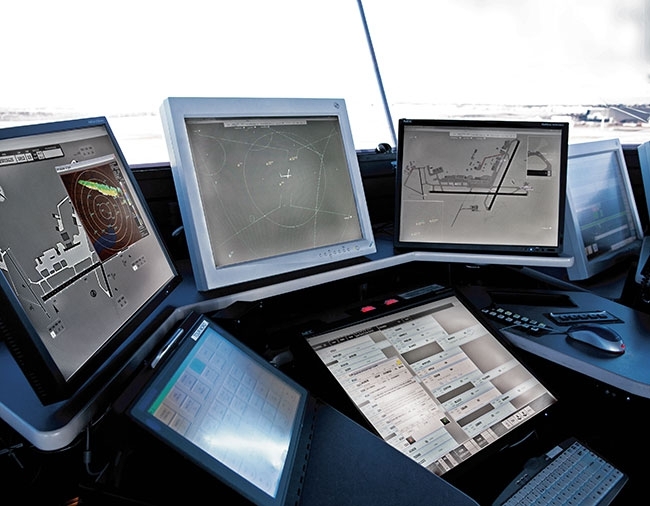 By taking the initiative, air traffic controllers are letting pilots know that this type of flexibility exists, which results in more regular pilot requests. More offers were not accepted, because many flights were either already at their optimal “sweet spot” cruising level, the offer was made too early in the flight or maybe there were stronger winds aloft, Bishop suggested. Another innovation, implemented in northern airspace out of the Edmonton Area Control Centre, optimizes flight routes reducing distance and travel times for North American flights bound for Europe and Asia and vice versa. This can be as much as five minutes or 25 miles saved per flight for a total savings of $6 million in 2013. The first phase of the Windsor-Toronto-Montreal corridor airspace redesign, which roughly accommodates 3,000 flights per day, has been in effect since February 2012 and has reduced cumulative flying time by 10 hours daily and reduced GHG emissions by 15,000 tons annually. The current phase will realize an additional 16,000 ton reduction in annual GHG emissions. A collaborative approach between air navigation service providers in several countries is behind an initiative to put ADS-B receivers into space on orbiting satellites, in order to provide global aircraft surveillance by 2018. It is expected to result in fuel savings of $125 million in the first year alone, Bishop said.